An Authorization and Assignment (frequently abbreviated as an “A&A,” or called a “letter of protection,”) happens when a medical provider agrees to hold off on collections proceeding until after a personal injury case is resolved (whether by way of settlement or a verdict). Sometimes, this is the only way to guarantee that a client gets medical treatment. Some providers are willing to provide treatment only if they have a better chance of getting paid, even if they have to wait until the case is over. 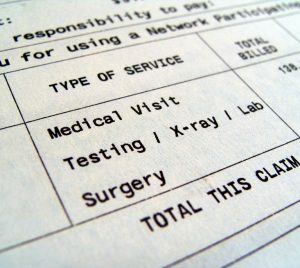 Doctors, running a business, would like assurance that they will be paid before they do the work. Particularly for clients with no insurance, this is a good way to get treatment when they need it. In exchange, the lawyers promise the doctors that they will paid before the client gets paid from a case. Essentially, the doctor gets a lien on any recovery (settlement or verdict), and the lawyer promises (with the permission of the client) to pay the doctor when the case resolves. Otherwise, the doctor runs the risk that the lawyer will pay all of the money to the client, and that the client will spend all the money or simply refuse to pay the doctor.